Kairi and Zamigo battle in the empty ballroom while Noel arrives with Good Striker so the Pats can easily finish off the embiggened Podamans. Umika and Tooma wake up in the hospital. Tooma knocks out the GSPO officer so they can escape. 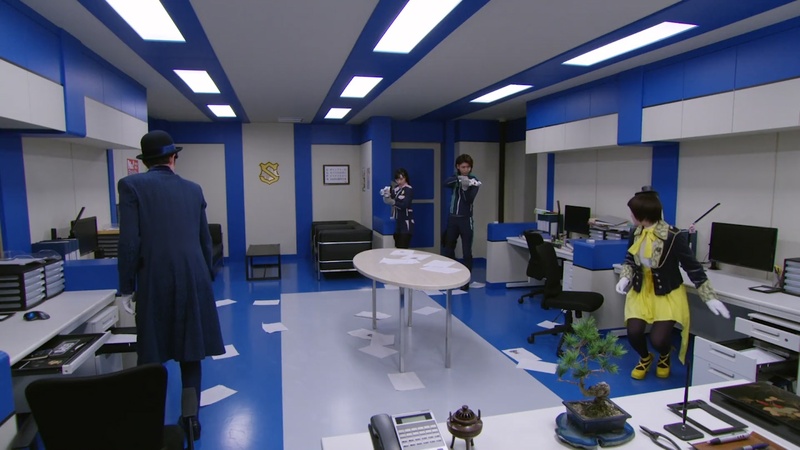 They dress in their kaitou outfits and break into the Tactical Unit office. But Tsukasa and Sakuya meet them there, blasters pointed at them. Noel meets with Keiichiro under the bridge with a dangerous request. Tsukasa and Sakuya try to reason with Tooma and Umika, asking for them not to be reckless. But Tooma and Umika are worried for Kairi and their wish is to continue to fight with him for their sincere goal. 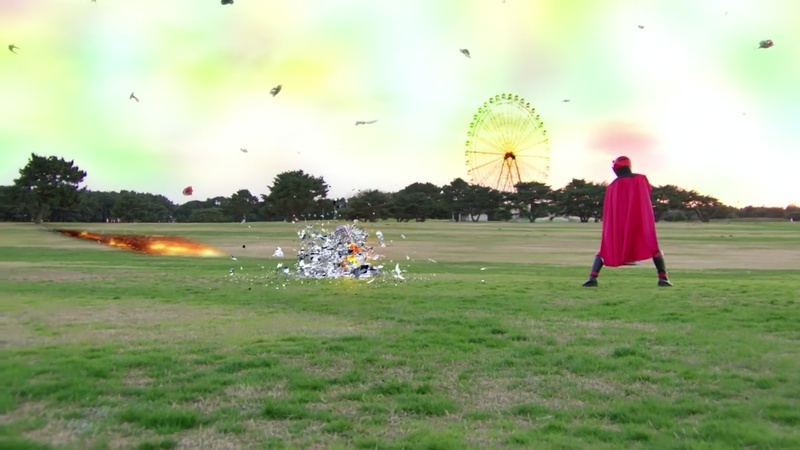 Tsukasa and Sakuya return their VS Changers, saying they can’t let them go without them. They understand their urgent predicament. 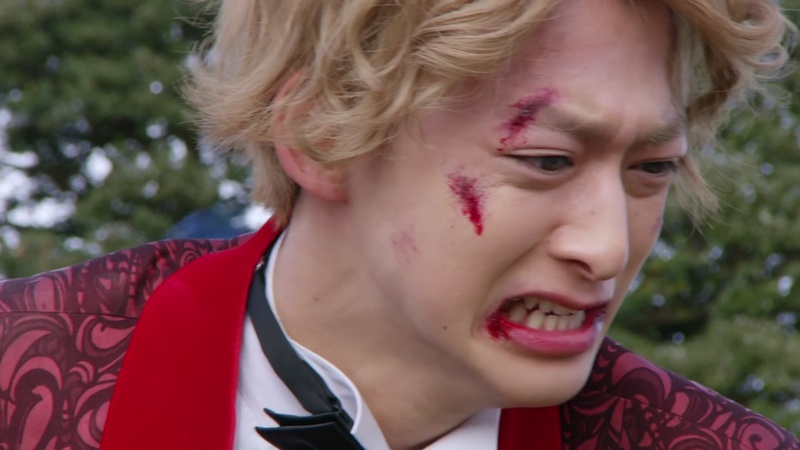 Sakuya adds that he wishes he met Umika two years earlier so he could’ve helped her before she became a kaitou. Umika says it’s okay because they otherwise wouldn’t have gotten to know each as well as they do now. Tsukasa tells them that the three of them better come back alive. Tooma and Umika grab their VS Changers and fly out of the office. They find Kairi just as he has been forced to demorph by Zamigo and about to be killed for good. They burst through the building and the falling debris allows Tooma and Umika to whisk Kairi away to momentary safety. Tooma and Umika tell Kairi that despite their original promise, they’ll never leave each other behind. 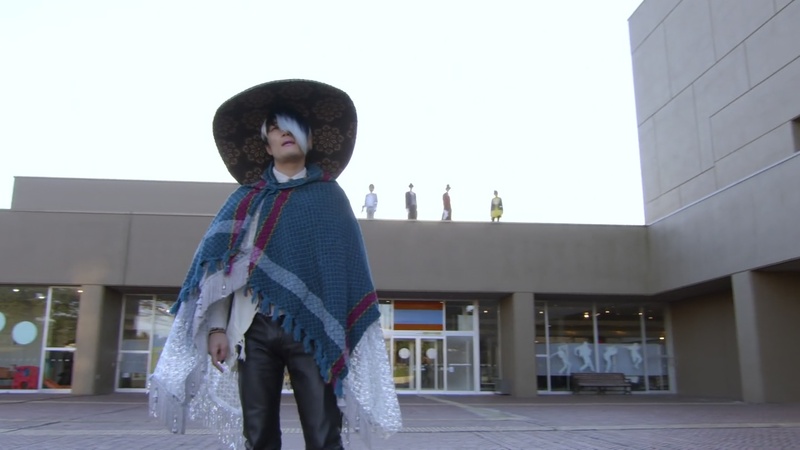 Noel joins them with a plan to defeat Zamigo which includes the Crane and Bike Trigger Machines that Keiichiro gave him. Commander Hilltop is shocked. Keiichiro apologizes. 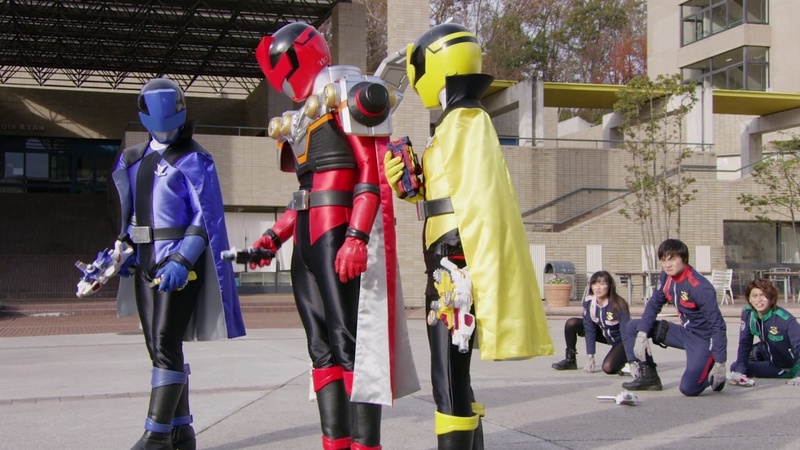 An equally confused Jim Carter points out that Tsukasa and Sakuya also just handed the VS Changers back to Tooma and Umika too. Tsukasa and Sakuya say they screwed up. Commander Hilltop has no choice but to accept their decisions. Dogranio has leveled more of Tokyo. Commander Hilltop deploys the Pats. Meanwhile, Zamigo calls out the Lups. Kairi, Tooma, Umika and Noel morph. The Pats confront Dogranio and morph. They first take care of Podamans before turning their attention to Dogranio. Kairi grabs Zamigo’s ice gun and shoots at him, but hits Noel instead. But it’s okay because it was part of an elaborate plan to have Noel attack Zamigo from behind. Kairi unfreezes Noel who is able to unlock Zamigo’s safe to retrieve his Piece which allowed him to turn into liquid. Just then, the Pats get thrown in front of them. They are forced to demorph. Noel jumps in front to block an attack from Dogranio and he is forced to demorph as well. Zamigo has a request for his boss Dogranio. He wants to enter Dogranio’s safe where he believes he can fight the Lups uninterrupted. 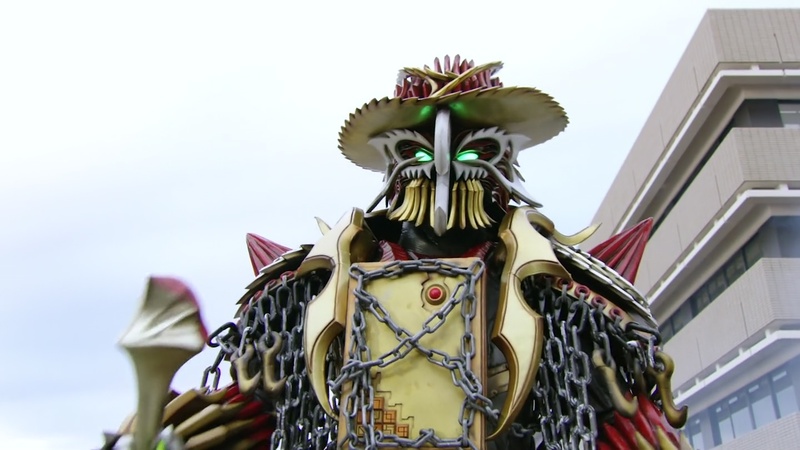 But Dogranio warns him that once they enter the safe, they can only escape it if he opens the safe. Zamigo says that’s fine by him. Dogranio opens the safe and Zamigo flies in. The Lups are ready to follow. Noel tries to stop them, but they will leave the world’s peace in his and the Pats hands. Keiichiro stops them before they leave. The Lups hand the Pats their Dial Fighters and bid them Adieu before they hop into the safe. Kairi, Tooma and Umika face off against Zamigo for the final time. Outside, the Pats morph and charge after Dogranio. The Lups give Zamigo everything they’ve got. While Zamigo tosses his guns in the air, Tooma and Umika are able to attach the Crane and Drill Trigger Machines to each of Zamigo’s safes. They press some numbers before Zamigo freezes them. Zamigo reminds them that his power does not come from a Piece and sends them to his ice hiding facility. Now it’s between Zamigo and Kairi. But Zamigo can’t open his safes anymore. Kairi explains how Noel explained that Trigger Machines can be used to reset the code to Zamigo’s safes. That means Zamigo wouldn’t be able to use his ice gun. Kairi shoots Zamigo’s hat off his head and finishes him off for good with a Super Super Strike. Zamigo bids Kairi “Adios” before he turns into flower petals. Zamigo’s demise returns all the surviving ice people to where they were first frozen. That includes Kairi’s brother, Tooma’s fiance and Umika’s BFF. Also Tooma and Umika. 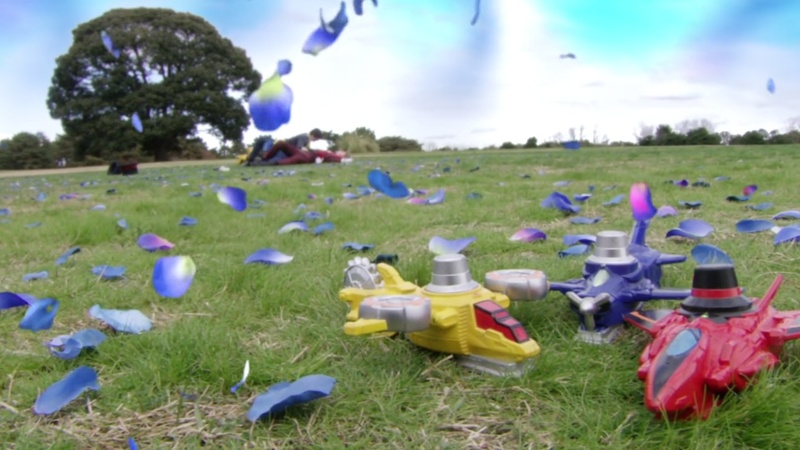 Kairi jumps on them and they celebrate defeating Zamigo and returning their loved ones by rolling around in the grass and Zamigo petals. Back outside the safe, Jim Carter calls the Pats to tell them the ice people have returned. Dogranio laughs at Zamigo’s demise. But he also laughs at the Lups being trapped inside his body. 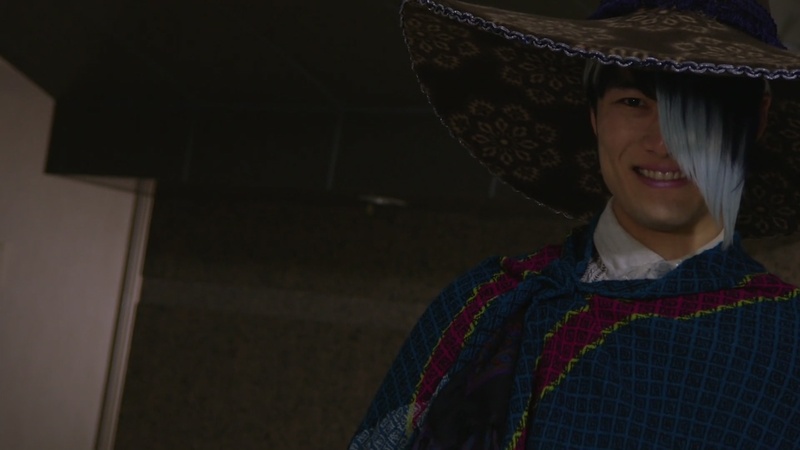 So for a character that ended up pretty inconsequential most of the season, I guess it was a fitting end for Zamigo. It just happened. The Lups didn’t even need to collect all the Dragon Balls… I mean, Pieces. They just had to take his ice away, tap his hat off his head and he’s even less powerful than a MOTW. This was a very anticlimactic episode for many reasons. 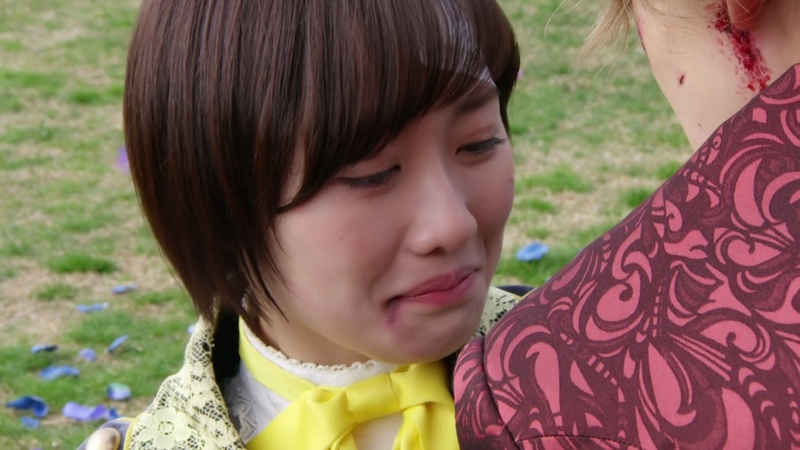 But what should’ve been the biggest moment of the SEASON… the return of Kairi, Tooma and Umika’s loved ones… fell so flat. It was like the air was let out of the balloon last week and then this week, the show still decided to give the deflated balloon to the little baby. Like, there was absolutely zero emotion in the moment. No dramatic climax. Not even a big struggle to get to the moment. It was absolutely underwhelming. And this was after I still gave the show the benefit of the doubt. I wanted to see them surprise me as they have a few times over the course of the season. But this penultimate episode unfortunately maintained the course the season has set out from the beginning. 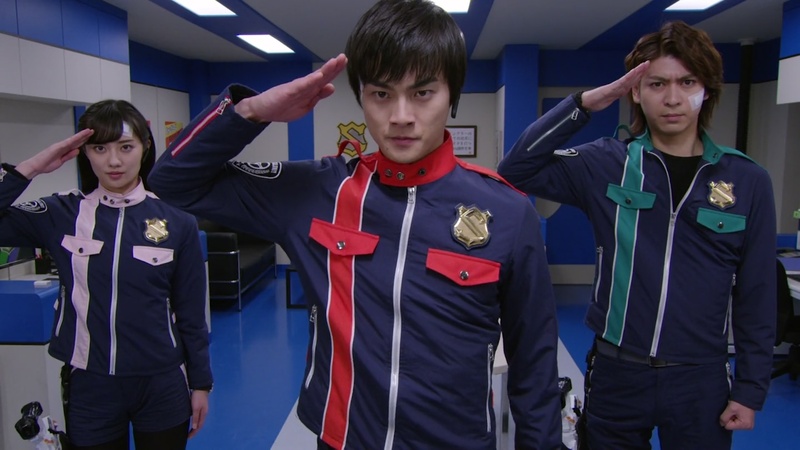 Technically though, I guess this is the Lupinranger finale. 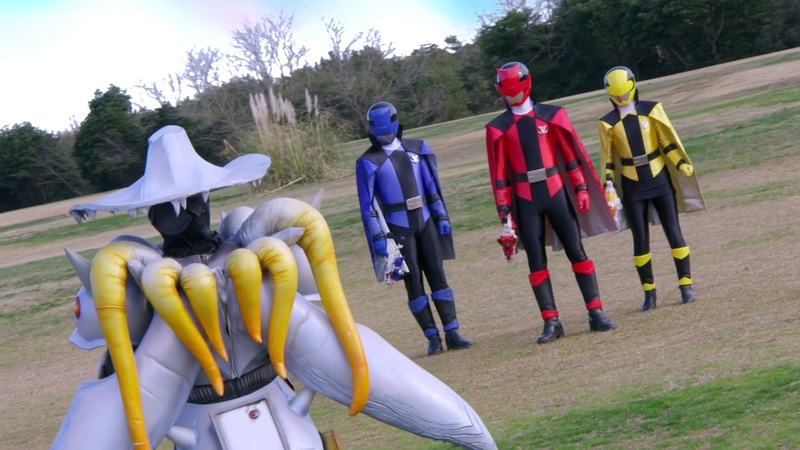 I will assume Episode 51 is the Patranger finale. And as typical during the season, the Lups will steal the spotlight from the Pats once again. And one final time of course. Though I just realized, we still haven’t seen the LuPats willingly team up and work together, all seven of them, yet. You honestly could’ve just given Zamigo’s ice power to Dogranio, Goche or Destra and we would get the same outcome. There was zero connection between Zamigo and the Lups. And there’s really no reason for him to have existed in the grander scheme of things. And again, it’s disappointing because as a character, Zamigo had loads of potential. 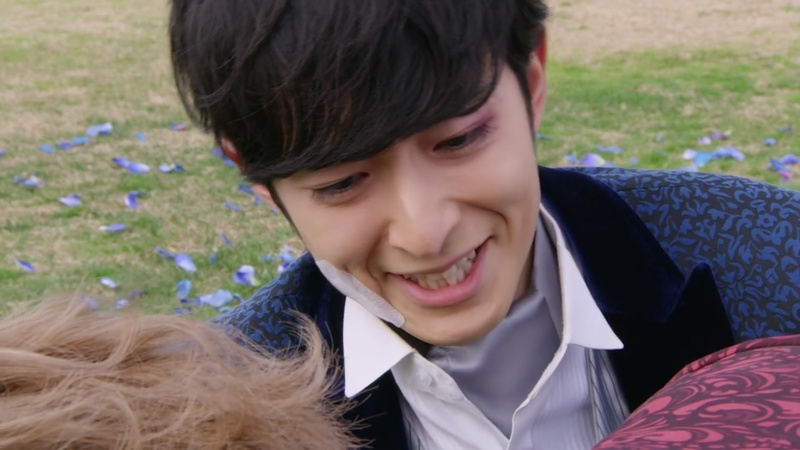 Plus, Jingi Irie deserved so much more material. In a sort of Enter-like way, he was flamboyant, yet dangerous. He was obviously also without any conscience as he had no problem skinning humans and even relished in it like Goche relished in cutting people open. But he was merely a weapon for the Ganglers to… I dunno, wreak havoc? What were the Ganglers’ main goal anyway? Dogranio’s search for a successor is also pretty inconsequential too considering there are no Ganglers left and he’s ready to blow up Earth. The only positive I have from this episode was the continued refreshing use of drones and I guess GoPros during the battle scenes. If there’s one consistent positive from this season, it’s the refreshing and creative direction they’ve taken with the fights. Overall, I am sad and disappointed at how this episode did nothing for me. That’s partly on me. But I really wish the season did a better job really developing the story toward what should’ve been an amazing endgame. And now we’re ready for the grand final!